How Maria Fareri Children’s Hospital’s comprehensive approach to pediatric cardiology is saving lives… one child at a time. For expectant parents Paul and Christina Pinto of Pelham, a routine 16-week ultrasound turned their world upside-down. The screening revealed that their baby, Sophia, suffered from a congenital heart defect called hypoplastic right heart syndrome. The condition is marked by the underdevelopment of the valves controlling the passage of blood from the body through the heart into the lungs and the right-side pumping chamber. To treat this concerning diagnosis, they turned to Maria Fareri Children’s Hospital, a member of the Westchester Medical Center Health Network (WMCHealth), which is equipped with a dedicated, multidisciplinary pediatric cardiovascular team. The only team of its kind in the Hudson Valley, the Maternal Fetal Medicine group at Maria Fareri Children’s Hospital provides comprehensive care for complex congenital heart disease patients from birth all the way into young adulthood. Michael Gewitz, MD, William Russell McCurdy Physician-in-Chief and Chief of Pediatric Cardiology at Maria Fareri Children’s Hospital, says a multi-disciplinary approach makes the program uniquely capable of handling complicated congenital heart cases like Sophia’s. Pediatric cardiologists, cardiothoracic surgeons, neonatologists, cardiac anesthesia experts, intensive-care specialists and cardiovascular nurse specialists all play a pivotal role in successful outcomes for babies with complex congenital heart disease. “It’s a full continuum of cardiac care, from fetal life through young adulthood, and no other hospital in the Hudson Valley does this,” he says. Thus marked the beginning of Sophia’s journey to heart health. When Sophia was a newborn, the NICU team whisked her away to stabilize her heart. She has been cared for by the Maria Fareri Children’s Hospital team ever since. Sophia ultimately required a procedure known as the Fontan operation, which would be done as the last of three stages over the next few years. 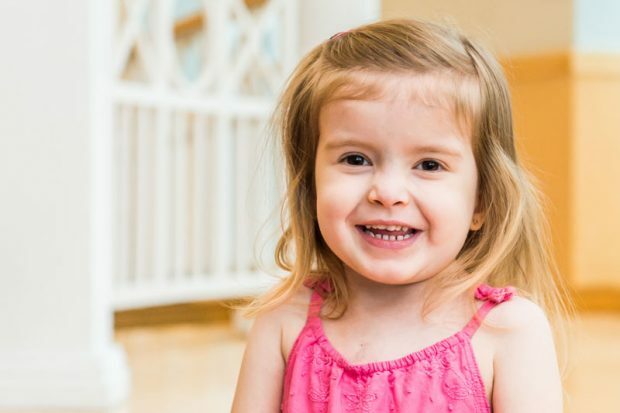 The first of those open-heart surgeries was completed when Sophia was just 1 week old, by the Children’s Hospital’s pediatric cardiovascular team. 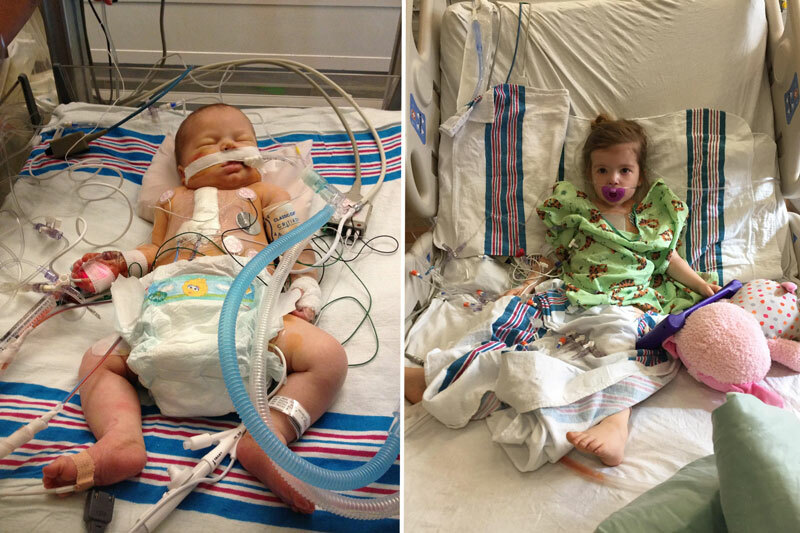 The surgery was a success, but by February 2014, Sophia’s oxygen levels were once again seriously low. So, Sophia had her second surgery on Valentine’s Day, at 4 months old. “Back then, Sophia’s skin always had a tinge of blue,” Christina explains. “She was never able to be very active. As a toddler, she was only able to walk about 20 steps before she needed us to pick her up. And she was so sad that she couldn’t run around with her big sister.” Then, before her third and final surgery, things took a turn for the worse. “We knew she was getting closer and closer to that third surgery because she had decreased oxygen, worsening fatigue and was having a harder time just moving around,” Christina explains. Sophia had her third surgery in June 2017, and to everyone’s enormous relief, it dramatically transformed her health. Today, Christina and Paul say she is like a new child because her energy levels and spirits are so greatly improved. “She can run without getting out of breath. That blue skin tone is gone, and she is so pink and healthy. And she can run around with her big sister, Isabella!” Christina says. With the open-heart surgery successfully behind them, the Pintos look forward to returning to Maria Fareri Children’s Hospital only twice a year for routine checkups. For more information on pediatric cardiology at Maria Fareri Children’s Hospital, visit www.mariafarerichildrens.org or call 866.962.7337.